Soap bubbles are formed when you take soap water and blow it from something like a straw. The Japanese word for “soap bubbles” is シャボン (shabon) and derives from the Portuguese word for “soap”. Like a child’s nursery rhyme, people have played with soap bubbles for a long time. Wherever they dance, soap bubbles bring with them the impermanence of a fantastical atmosphere! 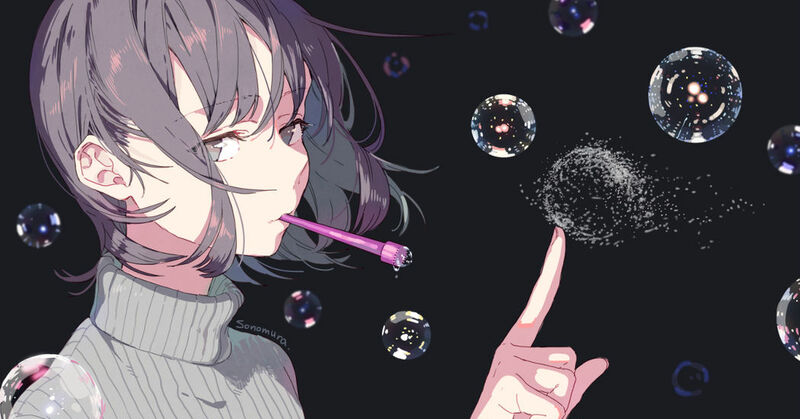 Today, we feature illustrations of girls playing with soap bubbles. Enjoy!